Hip hop, hip to the hop, hippity hoppity hamster! Have you been driving your boxy little SUV around, just waiting for the day you become one of those awesome hamsters you see driving around in the SUVs like yours? Yeah, you like the features of the car, but mostly you want the large fuzzy ears, and the mad dancing skills of those gansta hamstas. We might not be able to give you the ability to do any awesome dance moves, but with some practice you could become the best back-up hamster dancer anyone has ever seen. 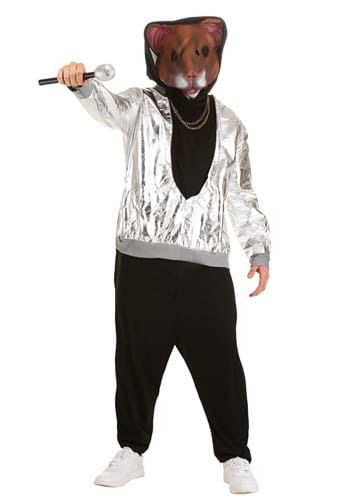 And with this Hip Hop Hamsta Costume you might just be able to make it beyond “back-up” dancer, and right to center stage. Now to become a Hip Hop Hamsta you don’t need to keep driving your cute boxy SUV, no all you need to do is click “Add to Cart”, and have this hop-a-licious costume sent right to your door. With your moves and this costume you will be dancing till you drop! Who knows you might even become the newest hamster to be featured in a little car companies commercials. We aren’t saying you will become a gansta hamsta over night. Remember that the costume is only PART of the process. You have to master some difficult dance steps before you will be cast as the number one dancing hamster in the world.